The Federal Executive Council on Wednesday approved the increase of the cost of the rehabilitation of Enugu-Onitsha road by N5.4bn. The decision was taken at the weekly meeting of the council presided over by the Acting President, Yemi Osinbajo, at the Presidential Villa, Abuja. 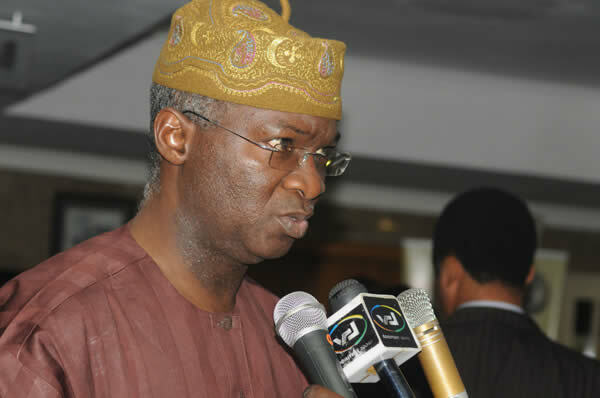 The Minister of Power, Works and Housing, Mr Babatunde Fashola, told State House correspondents at the end of the meeting that the cost was increased to N15.7bn from N10.3bn. Fashola said the augmentation was meant to accommodate erosion control measures and drains on the road. He explained that the contract, which was first awarded in 2012, was part of the roads captured as Umanna-Udi-Agu-Ebenebe-Amansi-Awka and spurring to Umumba Road, Section 2 in Enugu State. The minister said, “The contract was awarded in 2012 covering Enugu to Onitsha highway. “Because of lack of appropriate budgeting and funding, all of these projects could not be completed and there was also failure in implementation; so we inherited it. “There was also the need to provide for erosion control measures and drains and that has led to revision of the cost. Earlier, the Minister of Information and Culture, Lai Mohammed, had said Fashola’s memo was the only one that “survived” at the meeting.